If you’re not a basketball fan (like me), you probably know very little about sports and I'd assume you'd like to keep it that way. But now that March is upon us you can’t help but keep hearing two words around campus… March Madness. The name is vaguely familiar but you can’t quite place it. All you do know is that it does not relate to anything you've got going on currently. Why is it called March Madness, anyway? Other than the fact that it starts in March and things can get nuts? The phrase dates to 1939 and was established when Henry V. Porter, the assistant executive secretary of the Illinois High School Association, titled his essay about the state’s annual high school basketball tournament. Since then, there have been many trademark and licensing lawsuits, but in 2010, the NCAA paid Intersport, a sports and entertainment marketing company, $17 million to obtain sole ownership of the term. So how many teams play? Moving on from the brief history lesson… 68 teams from the Division I level compete for the National Championship each year. But the tourney wasn’t always that large. It first started with eight teams way back in the day in 1939. It reached 16 teams in the 50s, grew to 40 by the 70s, expanded to 64 by the mid-80s and finally settled at 68 in 2011. And how are they selected? 32 teams receive automatic bids just by winning their respective conference championships. The other 36 tournament slots are granted by invitation from the Selection Committee during Selection Sunday. Although sometimes... the teams they have waiting don't actually get to participate (here's to looking at SMU in 2014). I know, it’s hard to keep up. But basically, the Selection Committee consists of athletic directors and commissioners throughout Division I men’s basketball. Their job is to ensure the tournament is represented by conferences around the country. Selection Sunday is the big day this all goes down. TBS broadcasts the live reactions of the teams that the Selection Committee has deemed worthy of participating in the tournament. People actually have fun watching this? Yes! 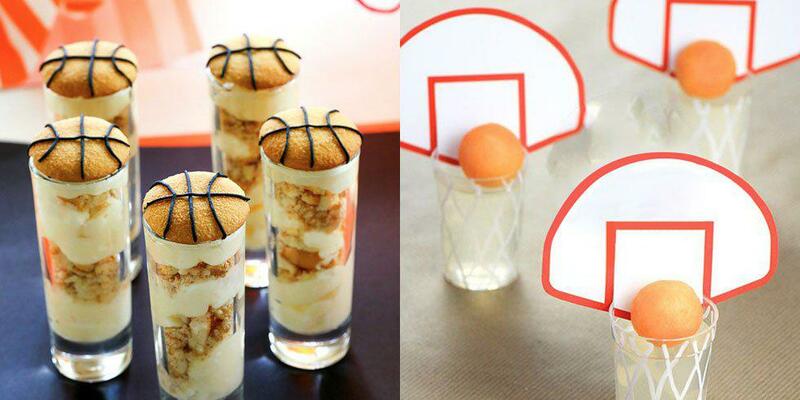 And you don’t have to be a die-hard basketball fan to make this fun. Even if you don’t know a lick about the sport like me, I always enjoy filling out a bracket of my best guesses of the winners. So what’s a bracket? It’s a diagram that represents the order of games in a sports tournament, and is typically used for making predictions about its outcome. Last year, for example, I chose my alma mater West Virginia to win, but made my other selections based on how cute the mascot was or if the school had a fashionable color scheme. You don't have to do it that way, that's just how I ended up doing it. So don’t be shy, get your friends together for an education lesson and fill out brackets together. Also make wagers! Maybe the loser (the first bracket to bust) has to treat everyone to lunch or Starbucks drink of choice. Hey, even the Prez fills out a bracket for fun (although our current will probably tweet his feelings without filling one out), so have a good time with this! One last thing: how many rounds is this thing? The first few rounds are typically fun to watch because there is an excellent chance that an underdog team upsets a top pick. There you have it: your inside tips to March Madness. No matter where you go to school, or whether or not you are a sports fan, there are multiple ways you can become interested and involved in the tournament. So, at minimum have some fun with your best buds... and may the best team win!